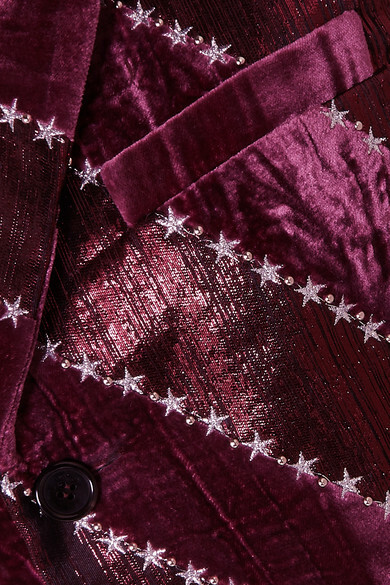 Look closely at the silver trims on this blazer and you'll see they're actually tiny shimmering stars - a motif that runs throughout Saint Laurent's Spring '19 collection. 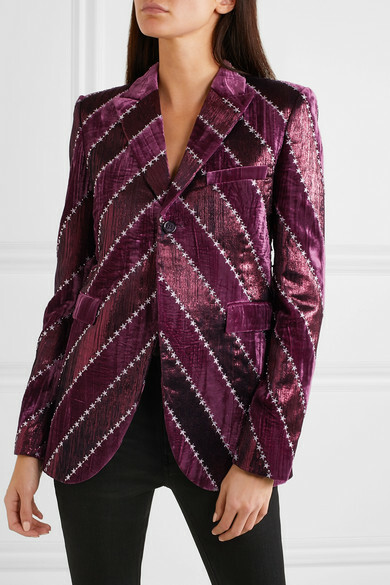 It's made from plush velvet and silk-blend lamé in a rich purple tone, and has a classic slim fit that's reminiscent of the label's original Le Smoking jacket. 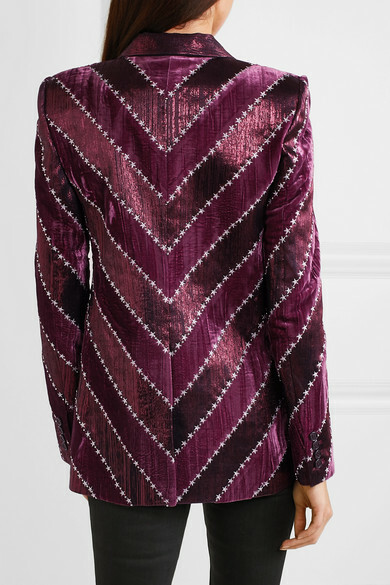 Underpin yours with a sheer blouse, as modeled by Jamie Bochert on the runway. 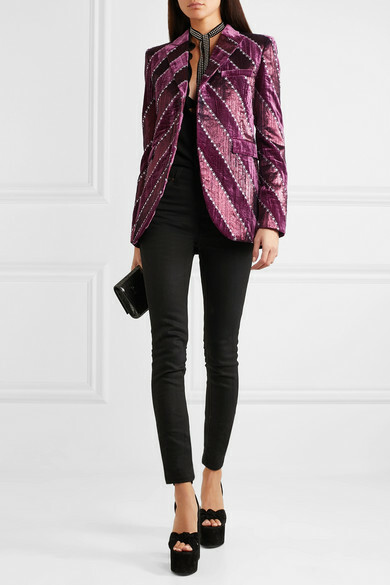 Shown here with: Saint Laurent Jeans, Saint Laurent Blouse, Saint Laurent Belt bag, Saint Laurent Sandals, Kiki de Montparnasse Bra.